This mad inventor would draw your eyes out! The Stamina Refill must be used within 22 Dec (Sat) – 23 Dec (Sun). During the event, drawing machine “Collector’s Deck” will be available, including 15 characters. “Collector’s Deck” can be located in “Shop”. 5. 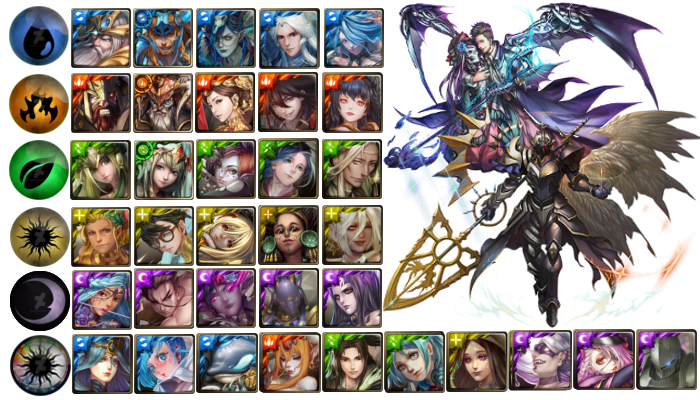 Some of the Monsters are more than 1 ; The Deck comprises 30 Monsters. The champion of the returning skin vote is here! Collect your outfit and rewards! * Summoners that have already acquired the outfit will be rewarded with the “Plump Precious Beast” x1 of the corresponding attribute. 1. Summoner cannot use Diamond to revive. Summoner cannot use any Active Skill in the stage. 3. Summoner can challenge the Stages up to 10 times each day. There is a round limit in this stage. Summoner must finish the stage within 50 rounds. Challenge is failed otherwise. ★ 7th Event: Main Chapter Continues! After a long-lasting fight, the final gate before the ancient city is slowly being opened! Summoner will face the dominator of the whole area! *Summoner has to collect all required “Tunestones” in order to proceed to the new stage. *Dragonware “Horn of Skull Amulet” will be rewarded for collecting all designated Tunestones. Celebrating Christmas with Tower of Saviors, get the “Protagonist” series packages! All stages, from the Eighth Seal to the Ninth Seal of the Main Missions, require 50% less stamina! Get ready and climb the Tower to find out the truth behind all stories! any update on the new series? Things seem a little too quiet in tos this year. Seemingly going out with a wimper? (12-16-2018, 10:35 AM)jtsmith Wrote: any update on the new series? Things seem a little too quiet in tos this year. Seemingly going out with a wimper? New collab with Fairy Tail (anime/manga) was announced. For the classic Trans, at R48 Todd requires 15 hits, still don't figure out how to pass him in 1 turn. Even with DC, we can add only 6 more hits at max (each per card). Also, at R45, R47 & R49, mobs revive once, so it will take 2 turns each. I guess we need at least 54 turns. (12-16-2018, 03:51 PM)kukingkong Wrote: For the classic Trans, at R48 Todd requires 15 hits, still don't figure out how to pass him in 1 turn. Even with DC, we can add only 6 more hits at max (each per card). Rewards only go up to floor 25 for the harpy. My guess is that the trans. has been shortened to 25 floors, so 50 rounds = avg. 2 rounds per floor. Seal10 is the worst. I am hoping to never play it. Thats right...never play these stages ever forever. There is some hope they will actually buff old cards. But at the rate they are going it will never catch up.